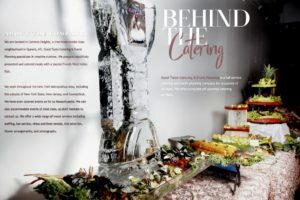 We shoot events organized by many different catering companies and event planners. We’ve seen it all. When things go wrong it can be incredibly frustrating for the hosts. You only get one shot at a First Communion or a 50th birthday. There are no do-overs. 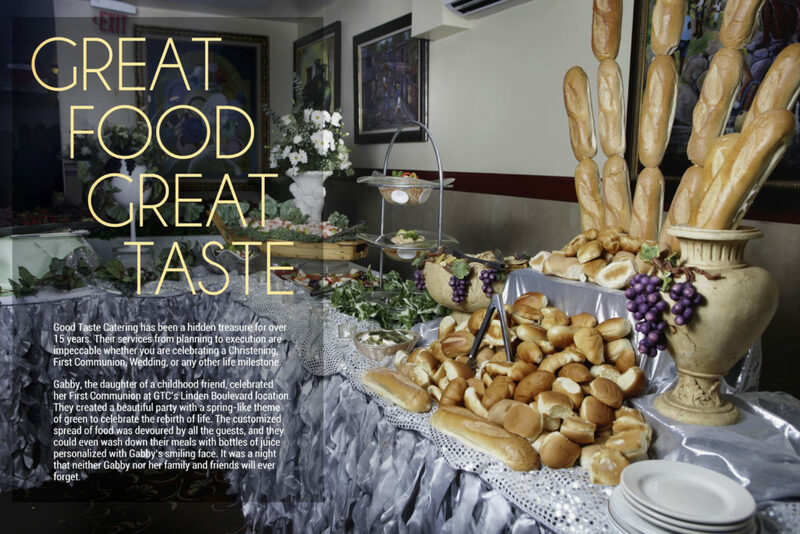 One of our partners that stands out from the crowd and never disappoints is Good Taste Catering. 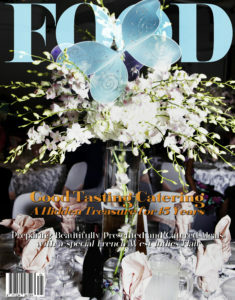 Good Taste Catering has been a hidden treasure for over 15 years. Their services from planning to execution are impeccable whether you are celebrating a Christening, First Communion, Wedding, or any other life milestone. 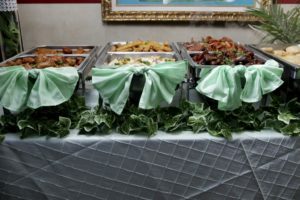 Their venue is located on Linden Boulevard in Cambria Heights, but off-site catering services are just as top notch. Recently we were honored to be the photographers at First Communion celebrations both on and off-site. Gabby, the daughter of a childhood friend, celebrated her First Communion at GTC’s Linden Boulevard location. They created a beautiful party with a spring-like theme of green to celebrate the rebirth of life. 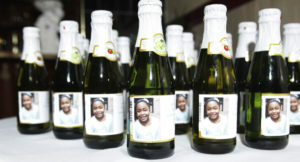 The customized spread of food was devoured by all the guests, and they could even wash down their meals with bottles of juice personalized with Gabby’s smiling face. It was a night that neither Gabby nor her family and friends will ever forget. Kayla chose a different venue for her First Communion, but Good Taste Catering delivered the goods! 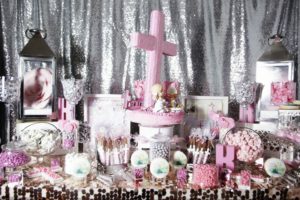 This time they created a pink paradise for this special girl. The welcome table was filled with memories of her life, as well as sweets for all of the guests. Give them a call and tell them Ricardo sent you!